After six million years the Grand Canyon and its liquid heartbeat, the Colorado River, have more than a few stories to tell. But it was the National Park Service one century ago that began registering and interpreting these stories for some six million domestic and international visitors annually. Austin Adventures Expands Grand Canyon Itineraries, offers Special Perks to Honor the National Park Service Grand Canyon Centennial Celebration! To mark and help celebrate the Grand Canyon’s Centennial: Each trip will feature an educational element — the most exciting and interesting places to explore and it cultural and natural history — introduced by expert guides knowledgeable in the geology of the Grand Canyon. Local walk-on experts will interact with groups as situations allow. Austin Adventures Expands Grand Canyon Itineraries, offers Special Perks to Honor the National Park Service Grand Canyon Centennial Celebration! Each trip will feature an educational element — the most exciting and interesting places to explore and it cultural and natural history — introduced by expert guides knowledgeable in the geology of the Grand Canyon. Local walk-on experts will interact with groups as situations allow. Specific attention will be paid to the amazing geography but also to the significant history of the people, including the 21 traditional associated tribes calling the Grand Canyon their home. Austin Adventures’ logo daypacks will be gifted to kids ages 12 and under who are guests on a tour. Each pack is full of Grand Canyon memorabilia, keepsakes and educational material such as a field guide, map, and activity book. Adults will have $100 donated in their name by Austin Adventures to the Grand Canyon Conservancy that is the official, nonprofit partner of the park. Extra educational elements will be woven into a visit to the South Rim in conjunction with Grand Canyon Conservancy. 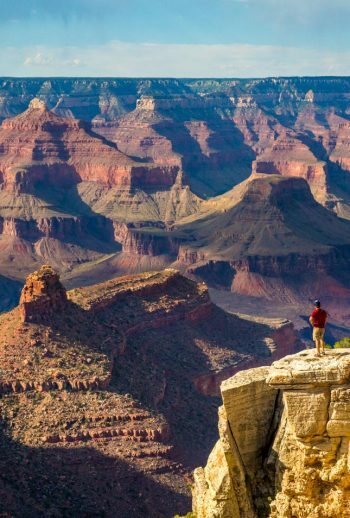 Take in the unique geology and rich history of the Southwest on your trip Grand Canyon National Park. This popular national park is considered on of the Wonders of the World with its inspiring views of the Colorado River Gorge, expanding 1.217,262 acres! 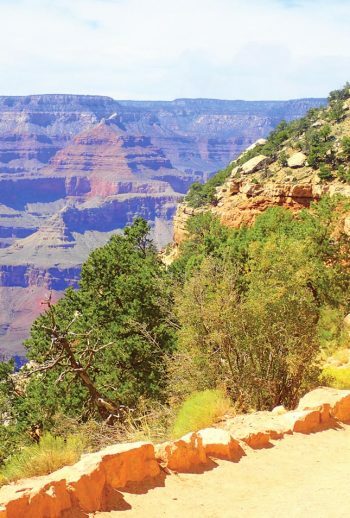 Enjoy rafting, biking, hiking, and cruising along the Grand Canyon Railway by train. The Grand Canyon is one of the world’s most diverse landscapes. From the top of the rims to the canyon floor, you can expect to see a wide variety of wildlife such as condors, pronghorn, bald eagles, and so much more. After a day spent exploring the travertine pools of Havasu Creek you can enjoy kicking back and watching the changing colors of the canyon’s walls at sunset.You’ll love seeing Indian Watchtower, the Wupatki Ruins, and even a volcano! With Austin Adventure’s experience in adventure travel, we can create the perfect trip for you at one of the most striking national parks!